I used the Fall Fest and For All Things stamp sets to create my card to share today. There is a new Stamping and Blogging sketch today so be sure to stop by the other Design Team Member’s blogs to see their projects. You can find links to their blogs below. My card design was inspired by the Stamping and Blogging SB77 Sketch. The colors for my card were inspired by The Paper Players #217. I started by adhering a panel of Color Me Autumn DSP to a panel of Tangelo Twist card stock with SNAIL. 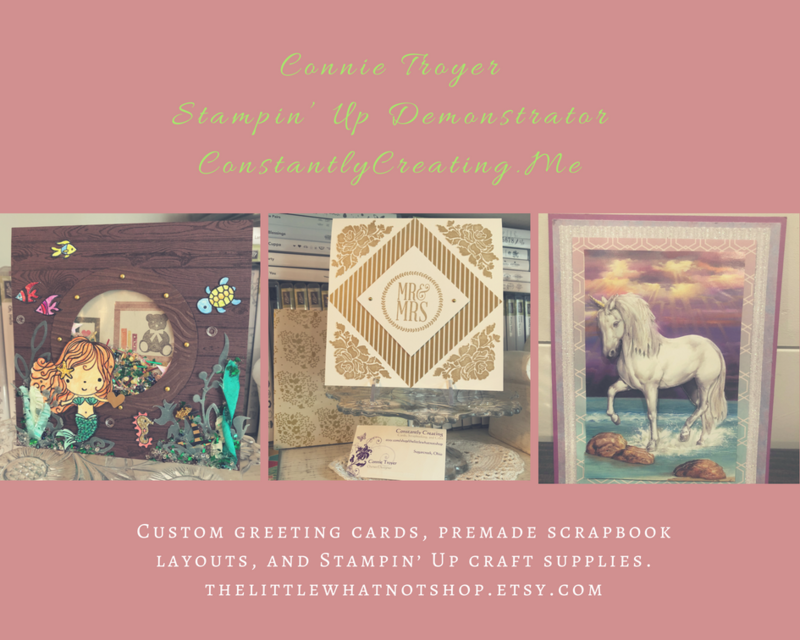 I adhered the layered panel to a Hello Honey card base with Stampin’ Dimensionals. I inked up the little banner from the For All Things stamp set in Hello Honey ink, stamped it off once on scrap paper, then stamped it on a panel of Whisper White. 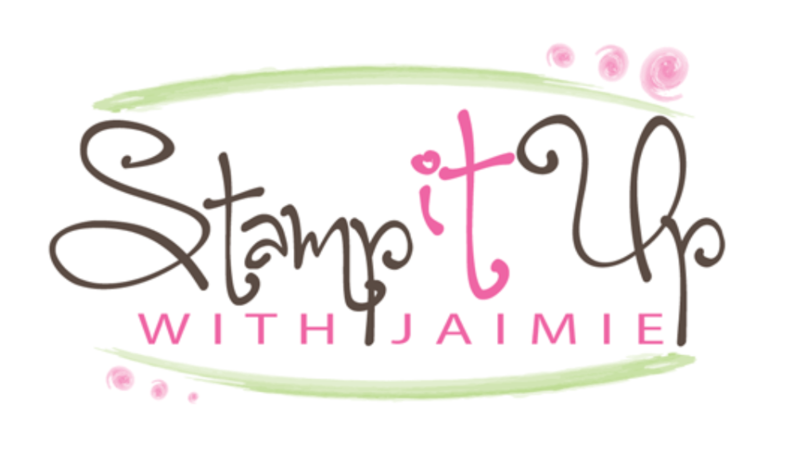 I used my Stamp-a-ma-jig to stamp the image again so that the banner was a little bit longer (using the same stamp-off process), then I stamped the sentiment from the For All Things stamp set in Mossy Meadow ink over the banner. I cut the banner out with my Paper Snips and adhered it with SNAIL to the card front. I inked up the pumpkin images from the Fall Fest photopolymer stamp set in Tangelo Twist, Hello Honey and Mossy Meadow inks and I stamped them on a Whisper White panel. I cut the images out with the matching Fun Fall Framelits Dies, then adhered the two pumpkins on the left with SNAIL and the pumpkin on the right with Stampin’ Dimensionals. I cut leaves from the Color Me Autumn DSP with the framelit from the Fun Fall Framelits Die set and I adhered them to the pumpkins with SNAIL. I tied little bows from Linen Thread and adhered them with just a touch of Multipurpose Liquid Glue, then added a Rhinestone Basic Jewel under each bow. I cut a little piece of 1-1/4″ Burlap Ribbon and I tucked it under the little pumpkin, adhering it with a little Multipurpose Liquid Glue. I stamped the images from the Fall Fest stamp set in Hello Honey, Tangelo Twist and Mossy Meadow inks on a Whisper White panel inside the card. This entry was posted in For a Friend, For You and tagged Amy Koenders, Atlanta, Atlanta GA, card making, card making supplies, CAS, Demonstrator, Duluth GA, Fall Fest, For All Things, Georgia, hand made card, Johns Creek, stamp with amy, stamp with amy k, Stampin Up, stampin up atlanta, stampin up blog, stampin' up amy. Bookmark the permalink. I just love that DSP for the background Amy. Perfect choice for the Pumpkins!! So cute little pumpkins ! As always your card is so pretty ! Ok I love your card but can I just say – Best pick of background paper ever for this one, LOL, and the additional little elements on the pumpkins is perfection!……Love them!. Super cute card Amy! I like the way you extended that banner. I never would have thought about that. You are very clever! That DSP background is fabulous!!! And your little bows are so cute.. I know how hard they are to make. Great job Amy..and I love the inside as well. You really started something there. Hugs from Shelagh. Fabulous! That little patch of burlap is PERFECT! Love the cute bows too. Great use of the sketch Amy. Clean and beautiful, Amy! I love the background paper, especially with the pumpkins! The piece of burlap and the linen thread bows are the perfect touches. Thanks for playing with The Paper Players!